The E-Z LIFT Belt Bucket Conveyor is a medium duty conveyor designed to move loose materials up to a 45 incline. 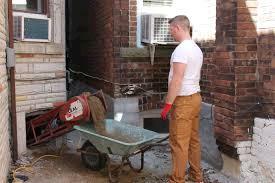 The conveyor is lightweight and compact fits into most basement windows and cellars. Approximate 120 FPM constant belt speed. 18" wide belt. 26' frame. powders, cement, coal, cartons, shingles, firewood, and rolls. 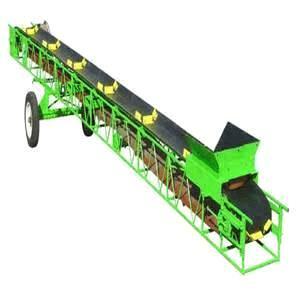 * Please call us for any questions on our conveyor 26 foot x18 inch dirt debris elect. rentals in Toledo OH and Perrysburg OH, serving the Toledo metro area.